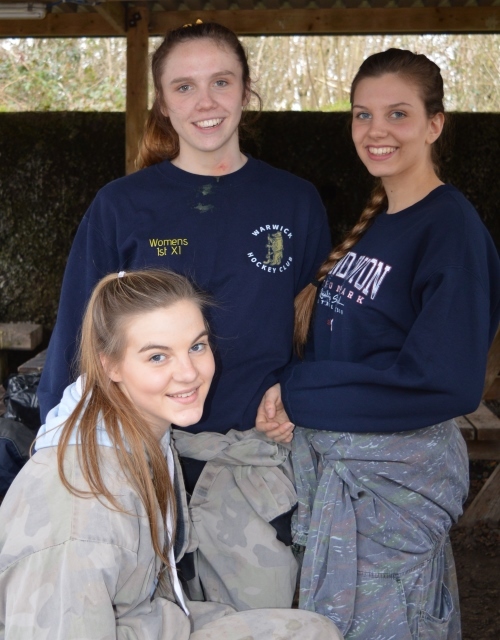 After the night of a number our our teams 'end of season night out' it was no surprise to see a mixed array of 20 faces turn up at 1pm for Paintballing! 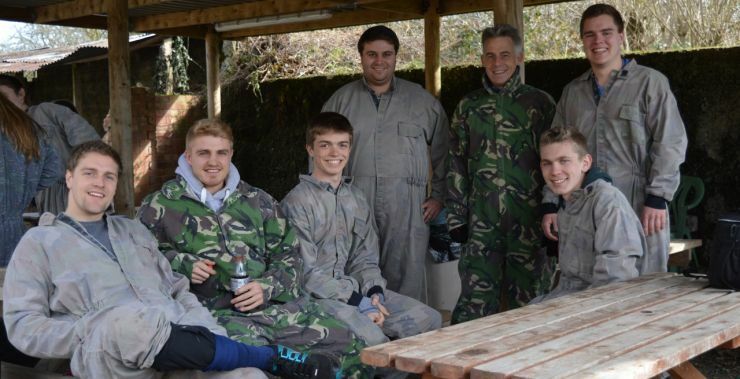 The first game started with the Marshall recommending we (greens) charge at the reds as we had the advantage of cover from various obstacles (piles of tyres and wooden panels) .... not the best advice as it turned out as Tim and I got hit without firing a round! Reds retrieved our flag and game over! Second set of two games involved advancing past an array of black wrapped straw bails to a post to ring a bell. The first game went better for the greens hitting enough of the reds to reach and ring the bell. Second game and Greg (Schwarzenegger) rings the bell for the reds after another smash and grab charge. Once again back to the safe zone! Back out to the woods for the final set of two games in which each team has a VIP (in a high-vis jacket) they have to get from opposite ends to the other of a field of muddy trenches. Chairman Nick Herd was the obvious VIP (target) choice for the greens and sure enough greens delivered Nick on the first run! Change ends, and now not so easy, with the sun in our visors it became very hard to see the opposition. This time it was Harriet who lead the charge for the reds, Nick got shot up bad, and the reds delivered their VIP. Game over but really good fun with laughs, stories, yellow paint on various parts of our heads and some stinger bruises for a few; Martha took a beauty...Greg! Another great social arranged by Tim and Harriet, thanks guys!